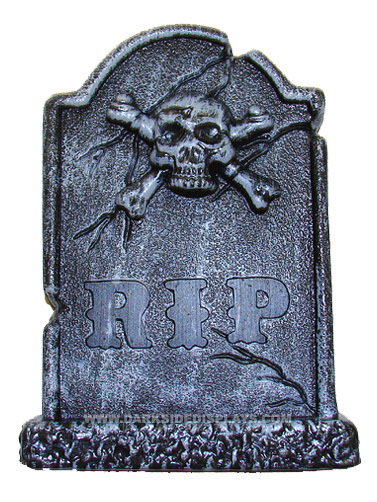 Our Skull and Crossbones Tabletop Tombstone is the perfect for size creating a graveyard display in a small area. Place on the Halloween party table for instant atmosphere. Great for Halloween craft projects. Molded plastic, freestanding. Traditional tombstone shape with a skull and crossbones relief. Skull & Crossbones Tabletop Tombstone measures 6.5"H x 4.5"W.